MILWAUKEE -- Gov. Scott Walker signed legislation Thursday that cuts millions of dollars in funding for Planned Parenthood in Wisconsin, which denounced the move as politically motivated and a detriment to the 60,000 women and men it serves in the state. One of the two bills the Republican governor signed at a faith-based counseling clinic in Waukesha requires clinics that participate in a federal program that allows them to purchase discounted drugs to bill Medicaid for the actual acquisition costs and a dispensing fee. The change will cost Planned Parenthood an estimated $4.5 million per year, according to the organization, because lower reimbursement rates are offered to clinics linked to abortion services. Although the bill doesn't mention Planned Parenthood by name, Democrats and others say it treats the organization differently than other clinics. "The law is directed just at Planned Parenthood. It's to cut our funding so we can't provide services," said Planned Parenthood of Wisconsin director of government relations Nicole Safar. "Legal action is certainly on the table. The law singles out Planned Parenthood." The other bill Walker signed at Life's Connection prevents the state from directing any federal Title X grant money to an organization or affiliate that provides abortions. That could mean a loss of $3.5 million in federal dollars for Planned Parenthood. Safar said her organization will compete on its own for the Title X funding when the new grant cycle comes up in several years. 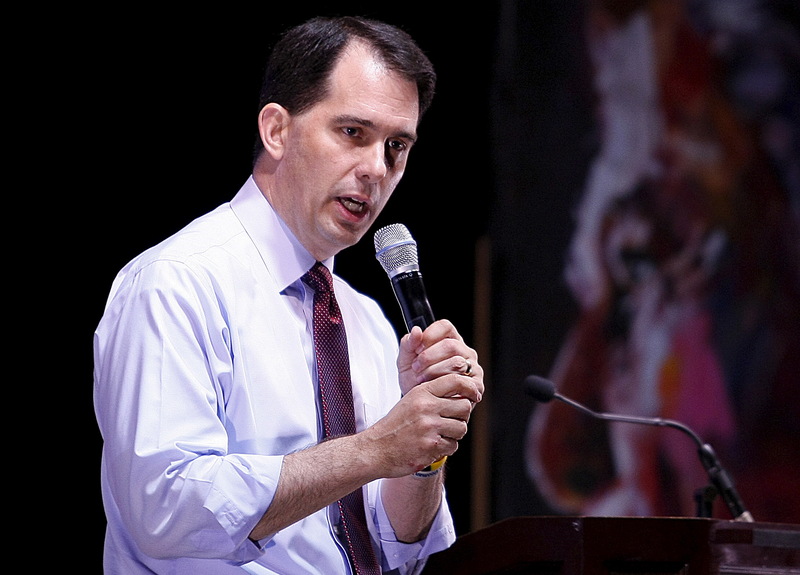 Walker said the bills require the state Department of Health Services to apply for federal funding for women's health services on behalf of "less controversial providers" and ensures that "prescription reimbursement processes are handled in a cost-based and transparent manner." Safar said the location of the bill signing sends a clear message about Walker's political motivation. "It really is disingenuous to be talking about cuts to health care at an organization that provides religious counseling, but no health care," she said. Planned Parenthood has operated in Wisconsin for 80 years and has 22 health centers, three of which provide abortions. The bill signing comes four years after Republicans made other funding cuts to Planned Parenthood, which the organization said caused it to close five clinics.